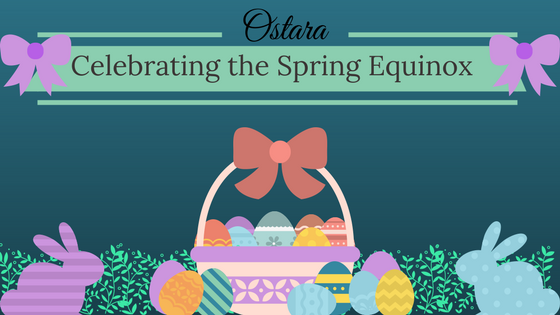 A blog dedicated to Paganism and providing information to those who seek it. Happy Monday everyone, I hope everyone's weekends have been going well. I apologize for the delay for this post, change is on its way and it might be time to consider changing the days that I post on the blog (We'll see what happens!). Anyway, today we're going to go over five of the more prominent symbols in Paganism and why they are so popularly worn or used. These symbols are ones that have likely been seen worn by both practitioners of Paganism and those who like to wear more 'Occult' oriented jewelry or clothing; so in other words, they would be easy to identify. The pentagram is arguably the most commonly seen symbol on jewelry and clothing items. I've seen individuals wear this because they believed the symbol had Satanic ties to it, however, that is not the case. The Pentagram is a sacred symbol to Pagans, representing the five elements ( Fire, Water, Earth, Air, and Spirit) and the circle surrounding it representing the harmony that these five elements play in everyday scenarios. It's also a symbol of protection for many wearing it. The history of this symbol is vast before it was re-adopted by modern day Pagans. It has been found on pottery and manuscripts as far back as 3500 BC and continuously throughout time in places like Egypt, and Greece. Even early Christians associated It's five points as the five wounds received by Christ on the cross before it was branded a demonic symbol. 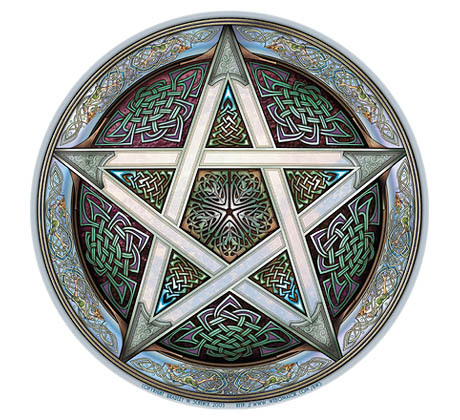 There has been a debate that I've noted over the years regarding the differences between Pentacles and Pentagrams. The difference is simple really. Pentagrams have a circle enclosing the star, Pentacles are open stars. That's it! This symbol is pretty commonly seen though I've seen it less than the Pentagram/Pentacle. 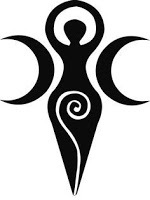 This is a symbol of what most Wiccan's refer to as "The Goddess". The Goddess figure is represented as a Goddess who couples with the Lord or The God, simply put, and signifies Divine union that creates balance throughout the year. I'll write more on this subject in a later post. This symbol does not have to specifically signify one Goddess if you're a practitioner of Polytheism. This symbol can easily be associated with any Goddess of your choosing, but in essence, it's a symbol of life, death, and rebirth. It's also a symbol of divine femininity. 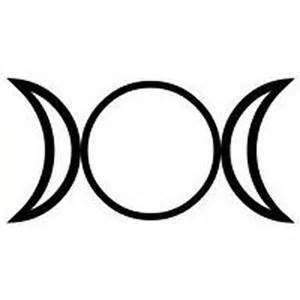 The triple moon is another symbol of the Goddess. 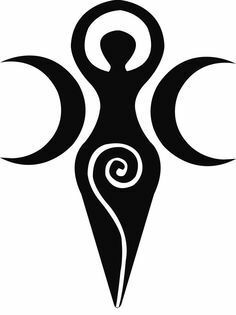 It's a representation of the Maiden, the Mother and the Crone, the triple aspected Goddess who ages as the year progresses before once again being reborn. The Maiden is innocent, creative, the human representation of spring, the Mother is at her prime in summer, tends to be wiser, fertile and nurturing. The Crone is the wisest and as the name implies, the oldest. Most tend to associate Hecate or the fates with the crone. She is the one who oversees fall and winter, premonitions and divination. I've seen this symbol surface a lot recently whether inspired from TV shows and movies or a sudden interest in the more Asatru (Heathen) line of Paganism. 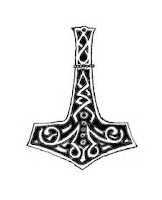 The Hammer of Thor has been a symbol of strength and protection since ancient times, wielded by the Red-Headed Aesir Thor, God of Thunder and protector of Asgard. The name has many potential origins but many agree that the best translation is "lightning" after the God's abilities. A version of Mjölnir was always present for ceremonies and important events in the community, a sign of health and strength. Those who wear the symbol do so with the hope that they will be blessed with good luck and protection from those who would do them harm. The Druids considered trees to be very sacred, trees provided wood for shelter, fruit for food. The Druids also believed that the trees were the ancestors of their people, and provided wisdom and care. The roots go down deep with the tree of life, the boughs reach up high into the sky, and it encompasses all that's held within the circle. This is a symbol of protection and wisdom, a balance of harmony across nature. 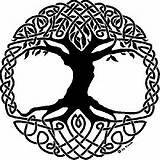 In Norse beliefs, the Tree of Life is represented as Yggdrasil which was the World Tree. It held together all the worlds in its branches and below in the roots of the tree was where the serpent Midgardsormr ( Jörmungandr) lay in wait for Ragnarok. Overall there is a unification theme present with this symbol, one in which provides protection and wisdom to those who choose to wear it as a symbol or talisman. These are only five symbols that are commonly used in Paganism and there are so many more, possibly hundreds, that are still out there with different meanings. Which one is your favorite? Leave a comment on which one and why. I hope you enjoyed this post, I'll see you all again on Wednesday. Bright Blessings!